Pennsylvania residents want more. After more than 80 years, the state’s system of selling adult beverages has finally started to change for the better. 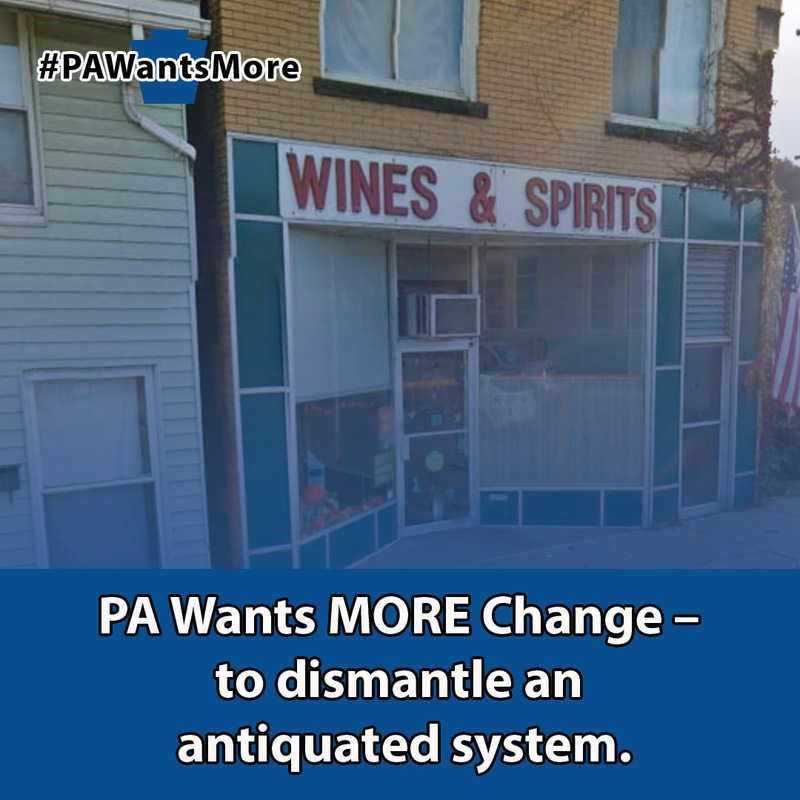 We’ve had a taste of change; now PA wants more. PA was one of only two states (Utah being the other) where government told adults what, where and how to buy their wine and liquor. The government had full monopoly control of adult beverage choices. House Republicans listened, and after 80 years, the system has finally started to change. Now wine is sold at approximately 400 grocery stores and directly shipped to homes. 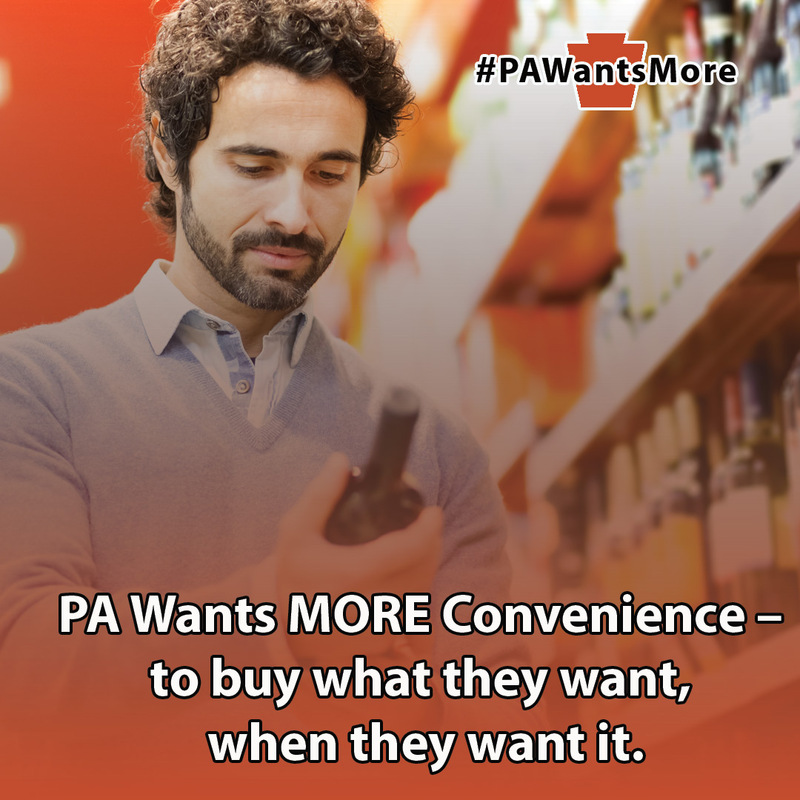 Pennsylvanians are appreciating the greater convenience and choice offered to them through the sale of wine and beer in grocery stores and convenience stores, various quantities of products, and direct shipment of wine to their homes. Now, after this taste of freedom, Pennsylvanians want more! In response, House Republicans have a four-bill package offering freedom, choice and job-creating entrepreneurial opportunities. • Fully divesting the state’s wholesale system of wine and spirits to allow importers to bring in a larger variety of products and allow retailers to negotiate better pricing on their products (House Bill 1075). 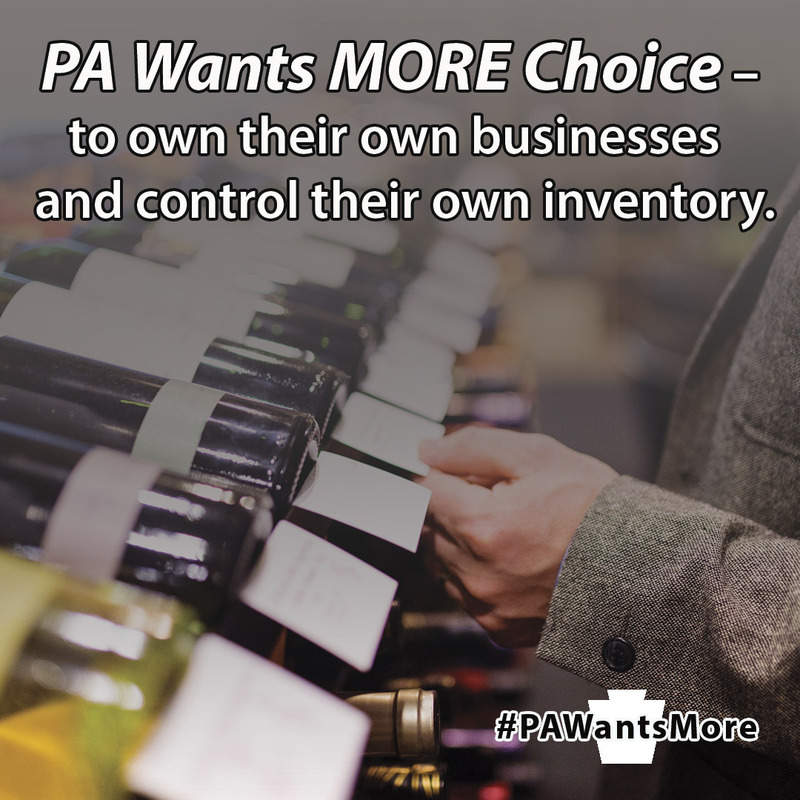 Even with the implementation of the ABC and Wine Privatization Act, Pennsylvania’s state-store system is still a dinosaur of bureaucracy with an inherent conflict of interest. We believe government should concentrate on vigorously regulating the distribution of alcohol and cracking down on those who misuse it, especially minors and those who drink and drive. The current system is based on protecting a myriad of special interests with a stake in this monopolistic system. Plus, any organization relying on the passage of laws by any legislature to change basic operating procedures has a failing business plan! The system has turned many Pennsylvanians into confessed bootleggers, traveling to neighboring states to purchase wine and spirits, even though it’s prohibited by law. Further, this causes “border bleed,” an activity where other states are capturing revenue through purchases made out of state by Pennsylvanians. • The current alcohol tax structure. • Fees and permits for new and expanded businesses. Expanded job market (delivery, sales, warehouse jobs). The ABC and Wine Privatization Act (Act 39 of 2016) finally started the process of allowing private retailers to sell wine outside of State Stores. Businesses with restaurant and hotel licenses can purchase permits to sell up to four bottles of wine to go. Wine expanded permits for restaurants and hotels – including gas stations, grocery stores and six-pack shops – were created, enabling them to sell four bottles of wine to go. Pennsylvania residents can now have wine shipped to their homes by PLCB-licensed vendors. Small wineries could sell Pennsylvania liquor and malt and brewed beverage products. The number of outlets is being expanded by allowing “dead” restaurant licenses to be auctioned by the PLCB once a year to the highest bidder with the minimum bid set at $25,000. Of the approximately 1,600 licenses which will be available, the PLCB has auctioned 400.